I remember polka music. I remember dancing. I remember ancient family photos on the staircase, and current family photos on the book case. How I would stare at those pictures, as though I could absorb the family history by osmosis. 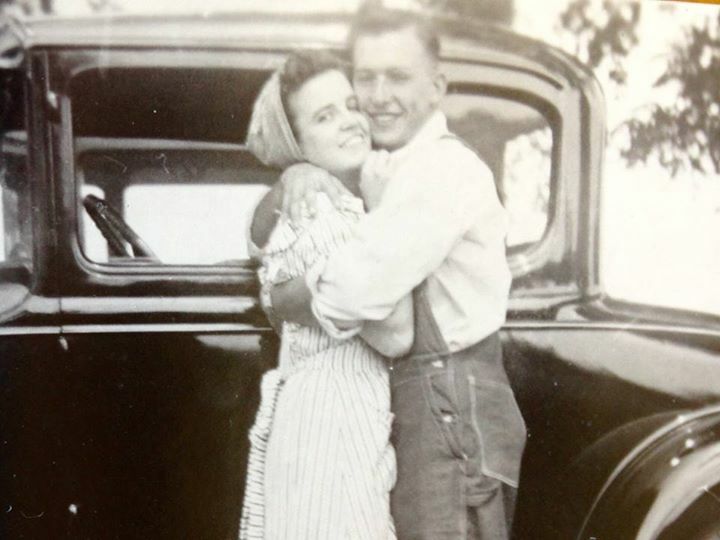 I remember seeing pictures of Grandma as a young woman and thinking she had the most beautiful face I had ever seen. She was prettier than the prettiest model in my eyes (and probably in Grandpa’s eyes too!). I remember kolaches and rolickies and hoska. How I would gorge myself on the delicious Bohemian dough that Grandma always baked to perfection. I remember her Duck and Dumpling. How I adored those potato dumplings. And I remember the apples — apples every year, and oh how I balked at eating their skins. I remember their house being such a hot place on Christmas Eve, stuffed as it was with all those people, the kitchen heated to the boiling point with noodle soup. (The stairs to the basement, however, were still cold.) I remember waiting, just waiting, to graduate from kid tables in the dining room to adult tables in the kitchen. And I remember how long the dishes took after dinner, with all the aunts washing and drying and talking together. The Musels were this big, loud, happy Catholic family, and I loved it. Grandma and Grandpa’s home felt like my home too, while my parents and sisters and I wove our way around the States and around the world. At Grandma’s, cousins were like brothers and sisters, and being at her house meant playmates never being far away. I remember loving her front porch, the most amazing porch in the world. It was covered and large enough to play house on, large enough to play Red Light Green Light from. And it was large enough to host scads of stair step cousin photographs. I remember Grandma and Grandpa’s 45th wedding anniversary. I remember the hall and the candles and that beautiful surprise slide show and the music that accompanied it. 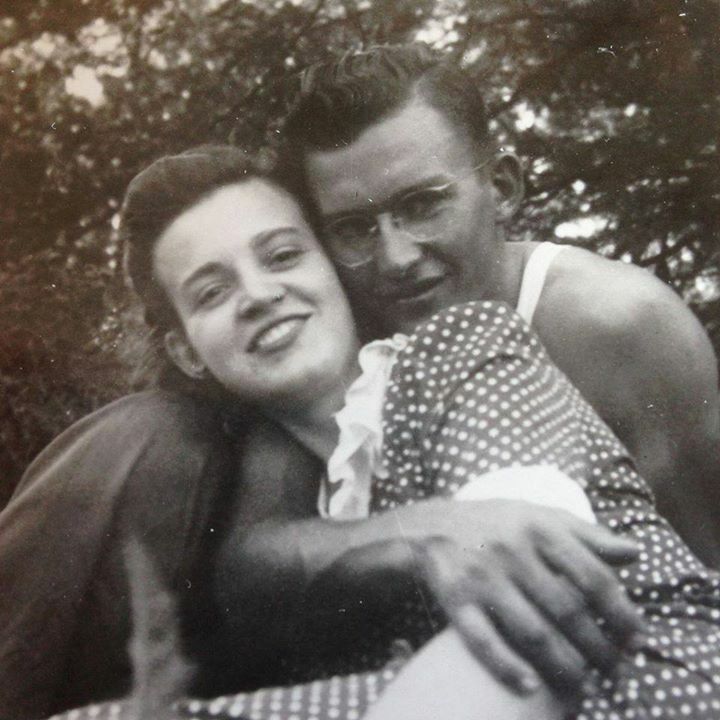 To this day I can’t hear “What a Wonderful World” without thinking of Grandma and Grandpa. And it was always Grandma and Grandpa together in my mind, not separated as they’ve been these last 15 years. How these 15 years must have hurt. How she must have ached. It’s been hard to be away these last 3 ½ years. I’ve missed weddings and holidays. I’ve watched photographs of the family appear on Facebook. I’ve rejoiced that I’m part of a family who still loves each other enough to get together. I’ve also mourned the loss of nearness and togetherness for myself. When I went away, I didn’t know if I would see Grandma again. I knew she was getting older and that my last goodbye to her might be my very last. But still, I hoped it wouldn’t be; I hoped to see her again. None of us knew this past 4th of July would be Grandma’s last time to gather her family around her and love them. She looked good. She looked happy and healthy and as beautiful as ever. Those pictures make it hard to accept that this really happened, that I really have to say goodbye. I wish I didn’t have to say goodbye from far away. I wish I could say goodbye in person. This goodbye won’t be forever; I know that. We will meet again. And I’m sure when we do, it’ll be over fresh poppy seed kolaches and the music of the Christmas Polka.